This Sunday, the Metropole Market is bringing a taste of New Orleans to Lansdowne! 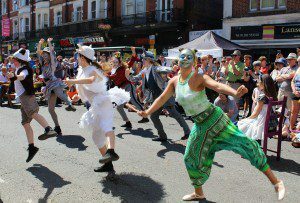 There will be jazz music, in association with the Jazz By The Sea Festival, entertainment, Louisiana cuisine, and two chances to catch a traditional Mardis Gras procession (12pm and 2.30pm), with visitors encouraged to dress up. The last Metropole Market brought 17,000 people to Lansdowne, so we’d urge Lansdowne businesses to get involved and make the most of the extra visitors this weekend.